The Iranian Presidential Election: Will Rouhani be Stopped by the Conservatives? With less than four days till the Iranian presidential elections, Mohammad Bagher Ghalibaf, one of six candidates, announced his withdrawal from the race endrosing Ebrahim Raisi. The six candidates were pre-selected by the Guardian Council from amongst 1,653 hopefuls. This means they met all the requirements to eventually become President of the Islamic Republic. 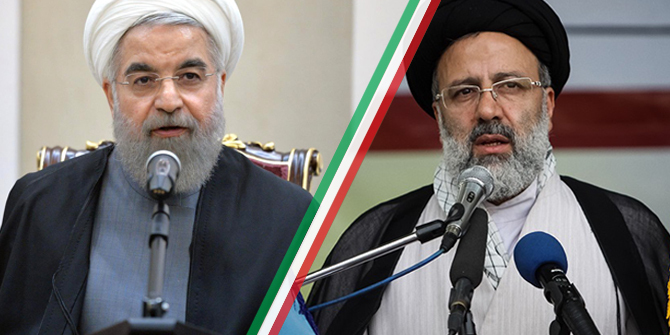 Current President Hassan Rouhani and Ebrahim Raisi are now going head to head for the Presidency. The other three candidates, Eshagh Jahanghiri, Mostafa Mirsalim and Mostafa Hashemi-Taba are less known figures or quite marginalised within the main political factions. The results of this election will significantly influence the domestic and foreign policies of Iran for the coming years. If Rouhani is re-elected, Tehran would likely continue its opening towards the West, particularly on the economic level. If Raisi wins, there would likely be changes in the foreign policy of the new government, with a shift towards Russia and China as global allies. The Islamic Republic would also be more involved in regional conflicts. On the economic front, there would likely be less attention on liberalisation and privatisation. Rouhani comes from the pragmatist faction of the Islamic Republic while Raisi represents the Conservative front. He was endorsed by the Reformist front and received the support of a part of the soft opposion, the so-called ‘Melli-Mazhabi’ faction, which is affiliated with the unrecognised ‘Nehzat-e Azadi’ party (Freedom Movement of Iran). Moreover, Rouhani might rely on certain traditional conservatives who are supportive of his foreign policy and political economic policies. Rouhani has an important international and domestic reputation following the signing of the nuclear deal last year, gaining him support from some Iranian voters. However, the economic crisis in Iran has grown under his first term and class divide between the rich and poor is widening. Inflation and unemployment rates are still high. Moreover, the incumbent President did not respect his electoral promises regarding reducing the limitations on civil liberties in Iran. These elements might damage his popularity in this election and provoke a lack of consensus among Iranians compared with the 2013 election. On the conservative front, Raisi is supported by the so-called ‘Deep State’ and enjoys close ties with the Supreme Leader, Ayatollah Ali Khamenei. He is among the most loyal clergy of the Supreme Leader and has taken relevant positions within the judiciary system, together with fulfilling strategic roles in the national security apparatus. He was appointed as Head of ‘Astan-e Qods-e Razavi’, one of the most influencial and wealthy religious foundations, with responsibility for overseeing the country’s holiest Shi’a shrine of Imam Reza. Moreover, Raisi is supported by the conservatives and hardliners of the Shi’a clergy in both holy cities of Qom and Mashhad. He is also supported by some of the Islamic Revolutionary Guard Corps (IRGC) and the Supreme Leader’s Office (Beyt-e Rahbari). However, Raisi has not been in the public sphere in recent decades, making him an unknown figure for many Iranians. His reputation was also damaged when he participated as Islamic Judge in the ‘death commissions’ of the eighties, which were responsible for approving the death penalty for many political prisoners opposing the Islamic Republic. Today, however, Raisi has gained added support – that of Ghalibaf. By endorsing Raisi, Ghalibaf brings in the votes of more conservatives, particularly sections of the IRGC who have recently been involved in the economic, logistic, energy and banking sectors. How will the upcoming elections differ from the previous one, then? The role of the ‘Deep State’: In the past few decades, the ‘Deep State’ has always supported the incumbent president for re-election. This could lie in the appeal of stability, both for domestic politics and foreign policies. Starting from the death of Ayatollah Khomeini in 1989, the three Presidents, Rafsanjani, Khatami and Ahmadinejad have always been re-elected regardless of their political affiliations. In none of the cases did the establishment promote a challenging competitor to block their re-elections. This time around, it seems different. President Rouhani is a pragmatist and the establishment promotes, at least publicly, a conservative competitor in Raisi. With Raisi optaining the endorsement of the office of the Supreme Leader together with the support of an important part of the Shi’a conservative clergy and part of IRGC, this makes this election more sensitive and completely different to previous ones. The new US President: The election of Donald Trump has inevitably influenced the domestic balance of power in Iran. The opening of the Obama–Kerry axis towards Tehran in recent years strengthened the pragmatist position in the Islamic Republic, increasing Rouhani’s power and influence. With the end of Obama’s administration, the pragmatists might suffer and become more fragile in dealing with conservative challenges. So far, Trump has showed clear stear towards Israel and Saudi Arabia. On the other hand, he is increasing pressure on Assad in Syria and on other allies of the Islamic Republic in Yemen and Lebanon, the Iranian establishment might feel threatened and could promote a more conservative President as a reaction to the new American foreign policy in the Middle East. The health of the Supreme Leader: Even though news concerning health problems faced by Khamenei have been circulating in the media for several years, it seems that his situation is now quite bad and that he might die soon. If true, this might justify why the establishment is promoting the candidacy of Ayatollah Raisi, entrusted by Khamenei. There are also several hypotheses confirming that Raisi might be one of the possible successors to Khamenei. If Khamenei dies relatively soon, then it is important that the conservatives have control over the presidency. This will help them better handle the transition of power. Ghalibaf’s withdrawal reinforces Raisi’s position as the representative of the conservative front. According to recent surveys, Rouhani is favourite to win, with around 40% of the votes, while Raisi and Ghalibaf would have received around 20% and 24% each. Now, it is yet to be seen if Ghalibaf’s supporters will really follow his lead and endorse Raisi. This Rouhani–Raisi competition is proving very close. 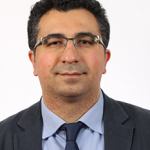 Dr Pejman Abdolmohammadi is Visiting Fellow the LSE Middle East Centre. He is also Lecturer of Political Science and Middle Eastern Studies at John Cabot University in Rome.